From Antonius Aquinas – August 7, 2017 Vladimir Putin has once again demonstrated why he is the most perceptive, farsighted, and for a politician, the most honest world leader to come around in quite a while. If it had not been for his patient and wise statesmanship, the world may have already been embroiled in an all encompassing global configuration with the possibility of thermonuclear destruction. 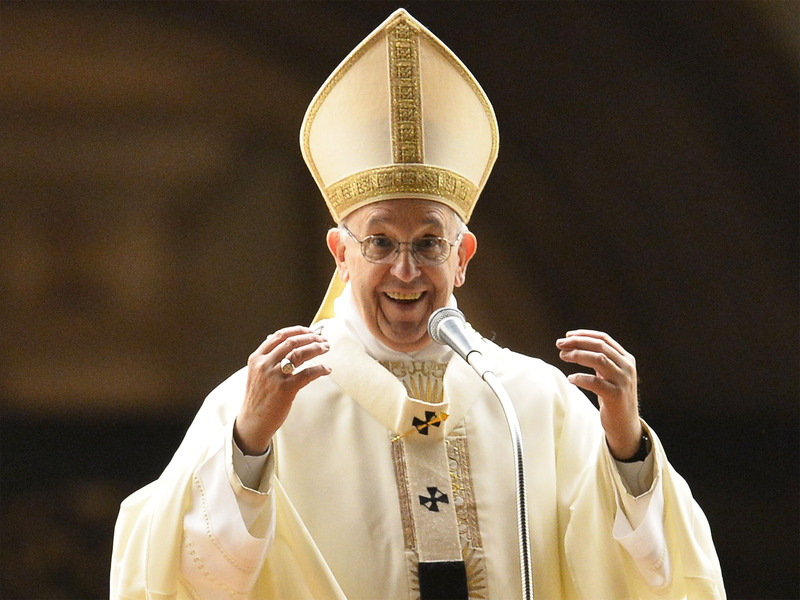 Pope Francis is the First Society of Jesus JESUIT Pope. Yes, Pope Francis is a Jesuit to his core, from his spirituality to his leadership style, and that’s especially clear now as the Jesuits meet in Rome. 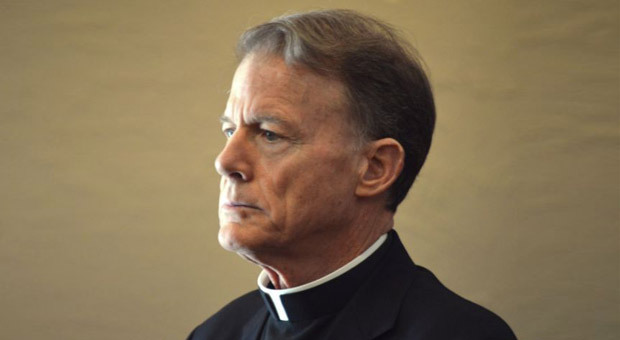 Yet there’s a sense in which, despite that Jesuit background, this is nonetheless also a deeply “Franciscan” papacy. Below is Pope Francis’s Paper Coat of ARMS. He is AT WAR, as we shall see- via the Jesuit Oath. The same “IHS Star” symbol -in the lower left of the image above- is found here on Pope Francis’s Papal Coat of ARMS front and center. 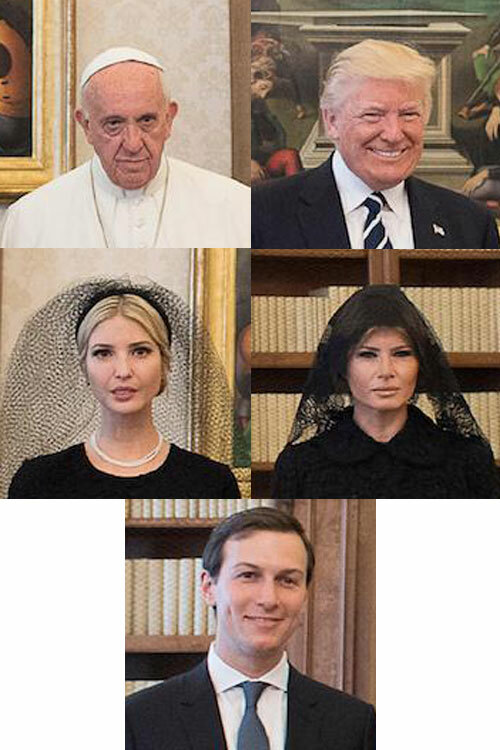 Jared Corey Kushner, Ivanka Trump, President Donald J Trump, “Pope Francis” Jorge Mario Bergoglio, Melana Trump, left to right.The Vatican Inc Jesuit Pope Francis met with the CEO President Trump and Family. Trump is left smiling like he won a gambit, possibly sacrificing the Paris Climate Agreement. 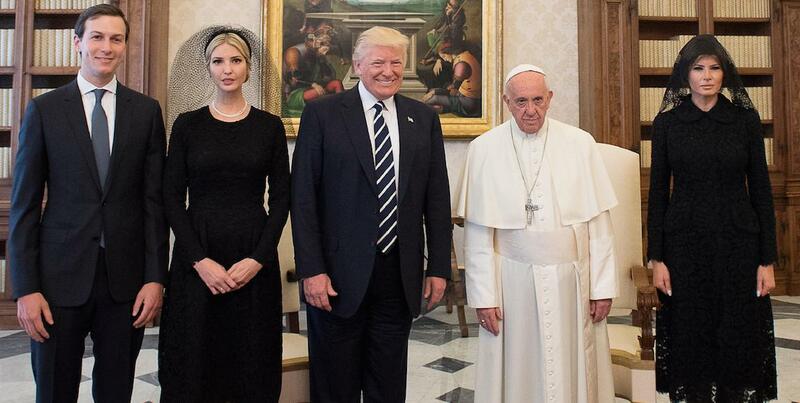 Pope Francis does not seem happy in any way after dealing with the Trump Debt Master. Jared seems to be hanging out -aloaf-.